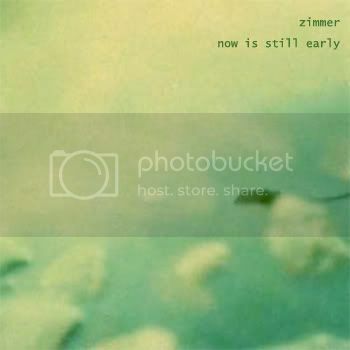 this was the first zimmer release after about two and a half years. came out on true call in early november 2009, as part of a double-release, the other one being tyynyliina's great 'nach dem rauschen' album. about half of the tracks were just finished when the album came out, the other half consists of tracks, which were recorded around early 2008.
when the album came out in late 2009, i was thinking about releasing some kind of remix-album a short time later. i asked some artists, if they would like to do a remix of one of the tracks and received a couple of great remixes some time later. while i was still waiting for further remixes and already into new recordings, i somehow forgot about the remix-album. anyway, some weeks ago, when i was looking through my hard-disks, i found the remixes again and thought, they are so good, and need to be released as soon as possible. so i decided to put together an enhanced version of the album, with an additional remix folder. i also found a take of 'september love song', which i recorded some months after 'now is still early' was released, while i was preparing a live set. i included it on the album, among the remixes by ian arm, dj ramses, melectric and krach the robot. click here for downloading the new version..